Another great alternative to the ho-hum plain magnetic clasps! 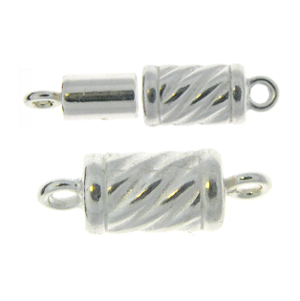 Sterling Silver swirled barrel shaped clasp - 6mm x 10mm. Very strong!! Sold individually.